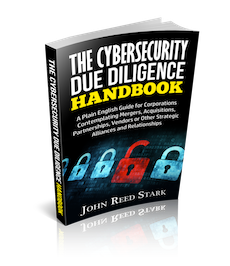 When a data breach occurs, counsel for a financial firm is the quarterback of the response team – calling all the plays (including multiple audibles). A cybersecurity investigation consists of a very technically-minded iterative process, with an eye toward complete discovery of the scope of any suspected computer compromise. Full-scope discovery means identifying all of the compromised accounts, computer systems and information stores. The failure to identify the full-scope could dramatically impact a financial firm’s ability to make informed decisions about notification, disclosure and remediation, in addition to potentially leaving the systems vulnerable to a follow-on breach. This webcast, the second in a series on the topic of Cybersecurity and Financial Firms (see Part 1 here), discusses suggested guidelines and protocols to successfully respond to a data breach after its detection — from the first moment of discovery and investigation through notification of law enforcement, customers, regulators and the slew of interested constituencies, to the last effort of remediation. A regulatory cyber-storm is clearly brewing and its onslaught makes it critical for practitioners, in-house counsel, compliance officers, technology personnel, exchanges and the many other professionals impacted by this recent financial regulatory surge to understand how to properly respond. Please join two of the nation’s foremost experts on the subject, John Reed Stark, Managing Director, Stroz Friedberg; and Nicholas A. Oldham, Partner, Fisch Hoffman Sigler LLP, as they address these issues and your questions in a free, one-hour webcast. Mr. Stark formerly served as Chief of the SEC’s Office of Internet Enforcement for 11 years and taught a course on cyber and securities regulation at Georgetown Law School for 15 years. Mr. Oldham recently served as Counsel for Cyber Investigations for the DOJ’s National Security Division, where he had a primary role in the National Security Division’s nationwide efforts to structure and guide national security cyber investigations. Mr. Oldham also served as an Assistant United States Attorney in Atlanta where he handled numerous cybercrime matters. To attend this webcast (the live version is scheduled for Thursday, May 29, 2014, at 1 pm Eastern), please sign up below.